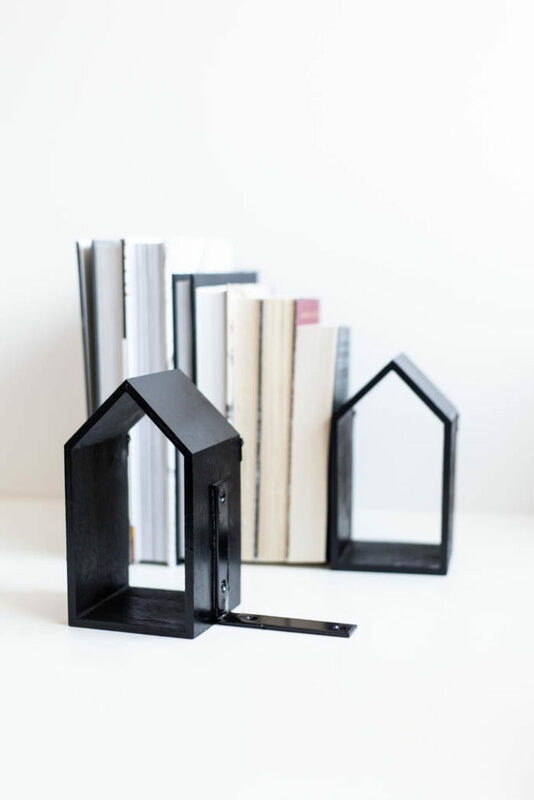 Do you have any bookends? I feel like the only real use for bookends these days is decorative. 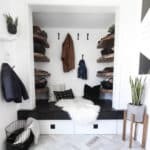 Like half of the items on the shelf, they’re there to look good. But I still love the look of them! And I must not be the only one, because they’re still on shelves everywhere I look. Most of the bookends I find at my favourite home decor stores are waaaay too overpriced for my taste. And most of them I look at and think, “I could make that for way less!”, lol. I wanted something simple, minimal, and pretty that I would be happy to have sitting on my shelf. 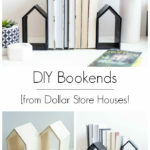 That’s where my DIY bookends idea came from. 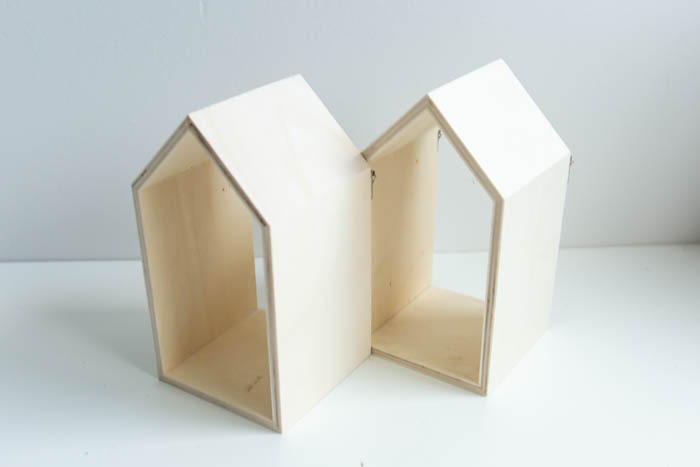 These little houses are where this idea was born from. It’s rare that you find something at the dollar store that you actually love. But I LOVE these little houses! They wouldn’t be that hard to make if we’re honest, but I can’t make them for the price that I can buy them at the dollar store! Sure, you could use scrap wood, but my time is worth more than that. So instead, I buy these little guys and DIY with them. 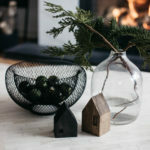 I’ve already used them in two projects: these Wall Planters and this Holiday Tablescape. But I couldn’t help buying a couple more the last time I was in the dollar store. 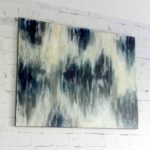 There are just so many great ways to DIY with them! Clearly I turned my next set of bookends into some stylish DIY bookends. It was SUCH an easy project. Honestly, I have a hard time scaling back projects to make them totally doable for the average person, but this one really was totally doable for anyone! 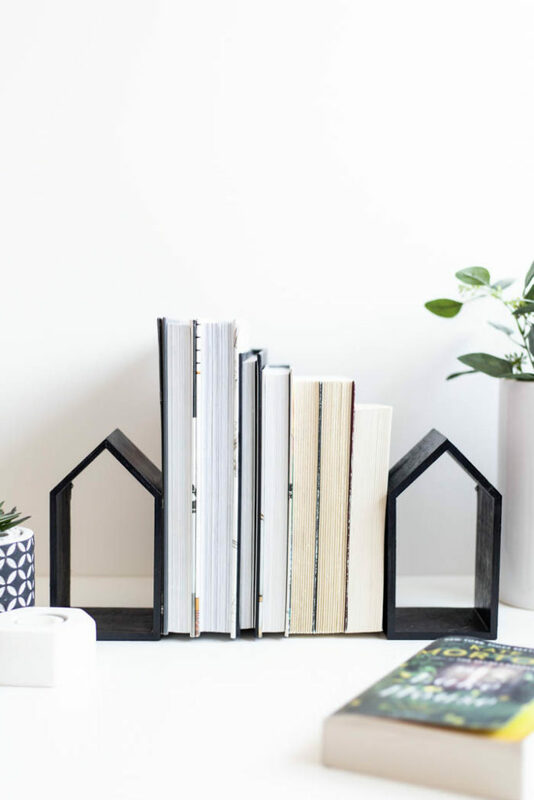 This project could not be easier, I’ll outline the steps to make your bookends here, but there is also a video tutorial below if you want to see everything in action! Find some brackets that are just the right size to sit on the side of your houses. Mine were about 4″ long. 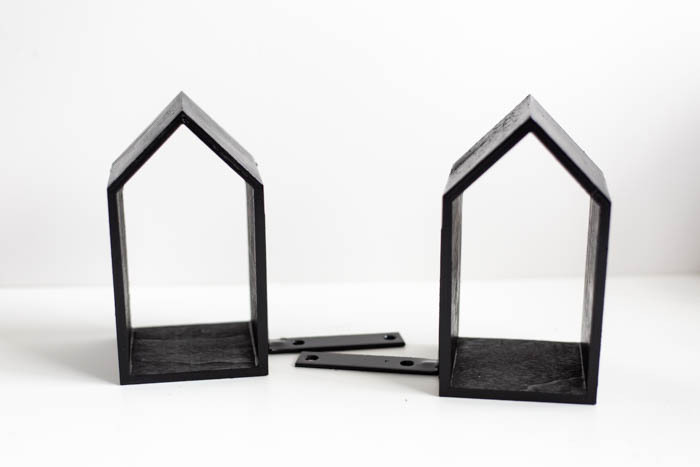 Attach the brackets to the houses with PL premium glue. to do this, I squeezed some PL Premium onto my brackets, and then smoothed it out (using gloves of course!). When it appeared smooth, I pushed it against the side of my houses, ensuring that both the houses and brackets were flat on the ground. Then wiped off any excess glue, and clamped them until they were set. I did one final spray paint afterwards to cover up any sign of glue on the sides of the bookends. That’s it! If you would like to see exactly how I attached the brackets to the bookends, you can watch the video below. 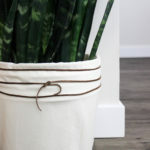 This video also contains four other fun dollar store DIY projects to help you organize your life using Dollar Store products. I’m pretty proud of the final outcome! I love when the ideas in my head actually translate to great new projects. Didn’t I tell you that this would be one that ANYONE could make?? I’m working on a new shelving project very soon, and I know that these guys are going to live on those shelves for everyone to see! 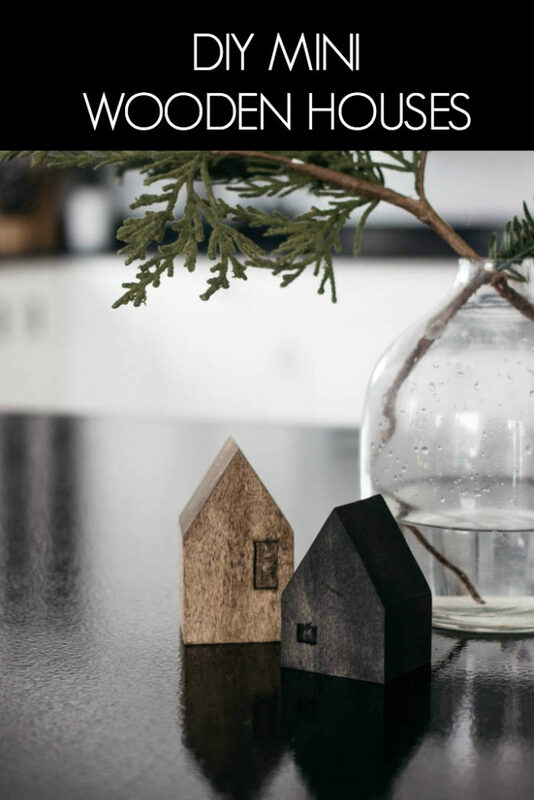 If you like the look of these guys, you will LOVE these Mini Wooden Houses! 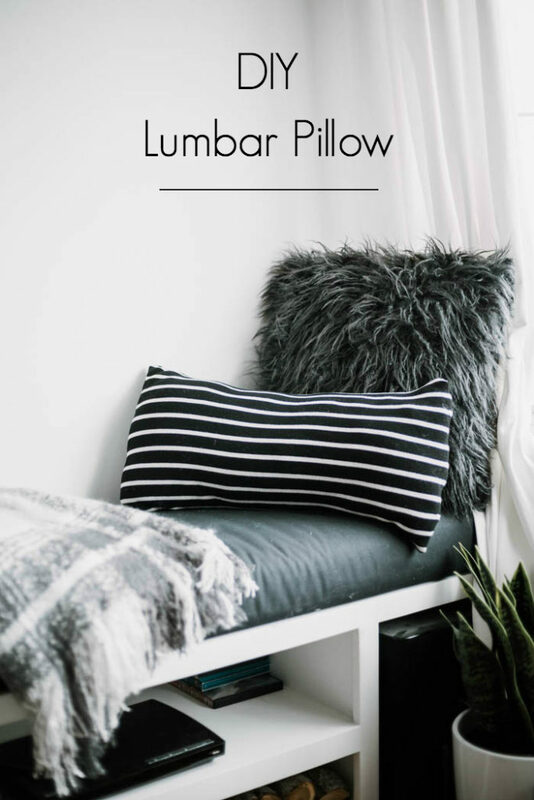 If you like to save money, try out this DIY Lumbar Pillow from a thrift store find! This is really fun! So creative! Thank you! 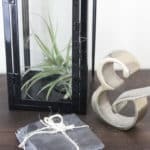 It’s such an easy DIY too! You should definitely make them!